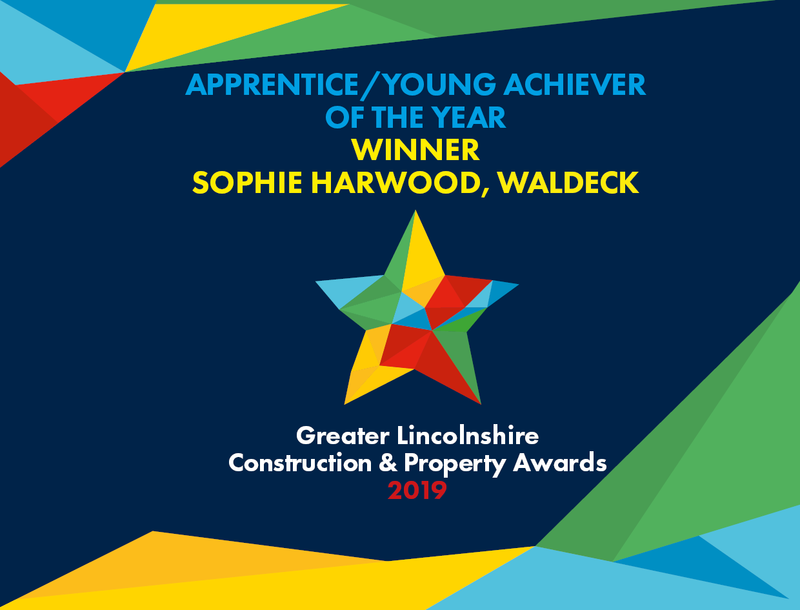 We are delighted to share that Digital Capture Specialist/Engineering BIM Technician, Sophie Harwood, was announced as the winner in the ‘Young Achiever of the Year’ category for the Greater Lincolnshire Construction and Property Awards 2019. Over 350 people gathered to celebrate the Construction and Property sector in Lincolnshire, which took place at the Doubletree by Hilton in Lincoln. Guest speaker, Homes Under the Hammer presenter, Martin Roberts entertained the audience with a Homes Under the Hammer style ‘heads’ or ‘tails’ game and stories of his career, before announcing the winners. Martin shared that the judges were impressed by Sophie’s enthusiasm and attitude to her professional development, as she excels in her two roles within Waldeck’s project delivery teams, working on multi-disciplinary construction projects ranging from intricate digital surveys to multi-million pound capital investment programmes. 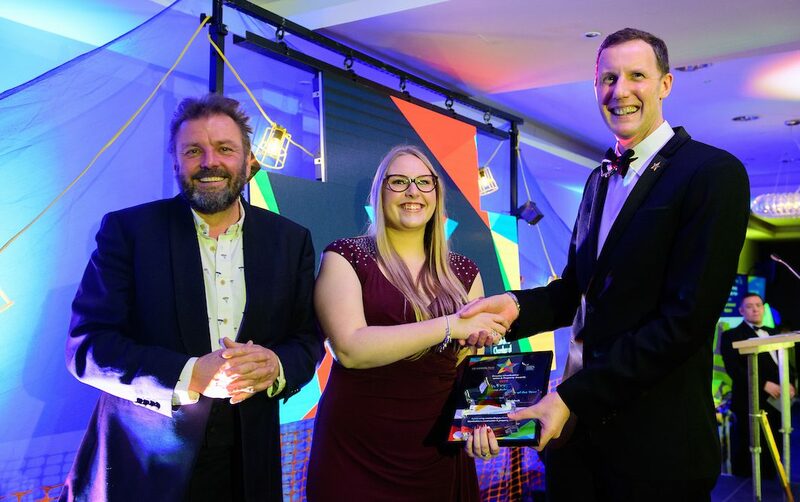 Sophie later commented: “I would just like to take his opportunity to say thank you so much to the judges who thought I was worthy of the ‘Young Achiever of the Year’ award, and congratulations to everyone who has been shortlisted or won an award. “Walking through the door of the Waldeck BIM Academy as a Trainee CAD technician over four and half years ago, I never thought I would be stood here tonight. I have continued to grow and develop with each step of my journey, which I couldn’t have done without the support of the great people around me. The awards also helped raise a massive £3,416.50 for Lincolnshire-based charity, Kids – a charity that supports over 15,000 disabled children, young people and their families every year by delivering over 120 services.